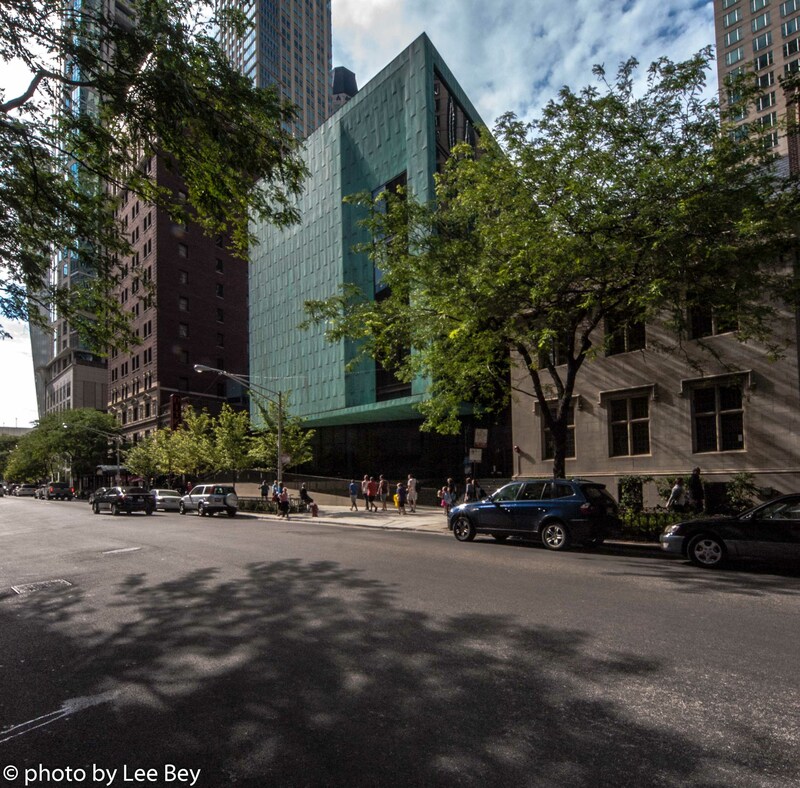 Here&apos;s a building I like: The new Gratz Center at Streeterville&apos;s Fourth Presbyterian Church. Designed by the Chicago office of architecture firm Gensler, the building is a five-story, multi-purpose addition to the rear of Fourth Prez, a century-old Gothic Revival church complex at Michigan and Chestnut. Gratz Center opened last year. I noticed it on a recent walk through Steeterville. Gratz Center is clad in pre-oxidized copper plates, giving the structure its bluish-green color. The contemporary and angular building manages to stand on its own while complimenting the classically-designed church. In lesser hands, the two components visually might have fought each other like good vs. evil. The building has a library, dining space, a chapel for 350, a day school, classrooms and a gallery that links to the church.